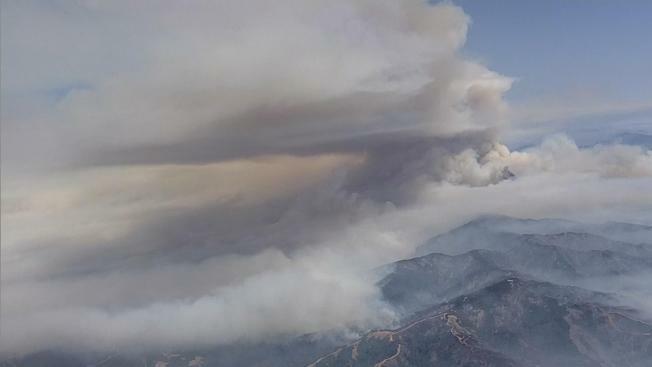 The 2-week-old wildfire churning through the ruggedly scenic coastal mountains north of California's Big Sur has grown to nearly 54,000 acres or 84 square miles, but some residents are back in their homes. 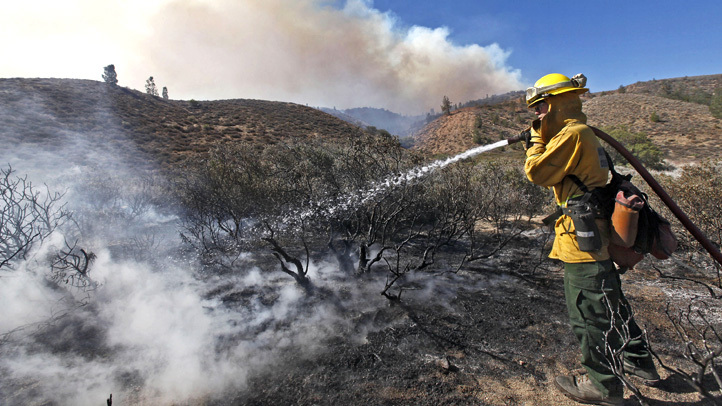 An army of 5,600-plus firefighters established lines on about a third of the perimeter by Friday, containing the blaze by about 40 percent, Cal Fire said. Feeding on chaparral, tall grass and timber, the Soberanes fire continued to burn Friday in steep and inaccessible terrain, making fuel-driven runs on its south and east sides. It is still threatening 2,000 structures, Cal Fire officials said. Residents have been allowed to return to certain parts of Monterey County, including Santa Lucia Preserve, Riley Ranch Road, Red Wolf Drive, Corona Road, and all of Carmel Highland. However, evacuation orders remain in effect at Palo Colorado, Old Coast Road, Bixby Creek Road from Highway 1 south to Mesa, Garrapatos Road, Western Ridge Road and Robinson Canyon. A total of 57 residences and 11 outbuildings have been destroyed and a bulldozer operator has been killed in an accident since an unattended campfire ignited the blaze July 22. Cal Fire is using 426 engines, 61 dozers, 55 water tenders, 18 helicopters, six air tankers, and more, in its fight against the Soberanes Fire. All California State Parks from Garrapata State Park through Julia Pfeiffer Burns State Park are closed until further notice, according to officials.